How to properly inspect your roof for signs of damage - Beneficial Roofing | VOTED BEST Roofing Company, Call Us Today & See Why! One of the best pieces of advice that we can give any homeowner is to examine their home on a regular basis. Catching minor damages in time can save you a ton of money and inconvenience. Periodic inspection is especially important in case of your roof as you don’t actually see your roof that often. But, how to inspect your roof correctly to spot the early signs of damage? Well, let’s find out! When to inspect your roof? The best practice is to inspect your roof twice a year. Once in late Spring and once again in late Summer or early Fall. Apart from these routine checks, make sure to inspect your roof after extreme weather conditions such as storms, hail and heavy snow. If you experience a problem such a leak, dampness or crack, make sure to call a roofing expert to get things looked at before the problem intensifies. If your roofing material is getting old and nearing its warranty period, you should increase the frequency of inspection. The goal is to catch any problem when it is still minor and easily manageable. Merely looking at your roof is not enough. Make sure that you pay close attention to the following things during the inspection. The surface of the roof: Check for the condition of the shingles. Look for missing, cracked or damaged shingles and make arrangements to replace them promptly. Check the flashing: Flashing is the metal pieces that cover chimney. Make sure you are looking for rust, cracks and other signs of damage to this area. If the flashing is leaky, water and snow can leak in and start rotting the roof. 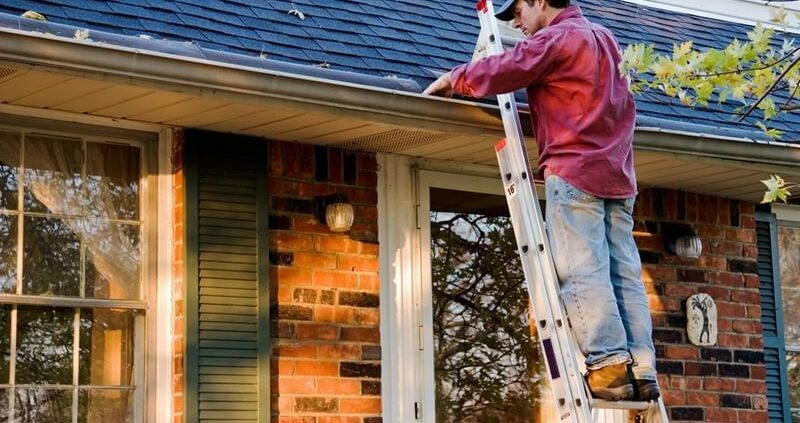 Gutters: Make sure that your gutters are clean and clog-free. Remove the dead leaves and other debris regularly and make sure that there is no obstruction for the rainwater or snowmelt. The underside of the roof: Look for sagging ceiling, leakage and holes on the underside of the roof from your attic. There should be no sunlight pouring through the gaps in the ceiling. Make sure that if you see small holes in your ceiling, you get professional help to correct it as soon as possible. Always remember that your safety is of paramount importance. If possible, use a pair of binoculars inspect your roof closely. Stay safe on ladders and around electric wires. 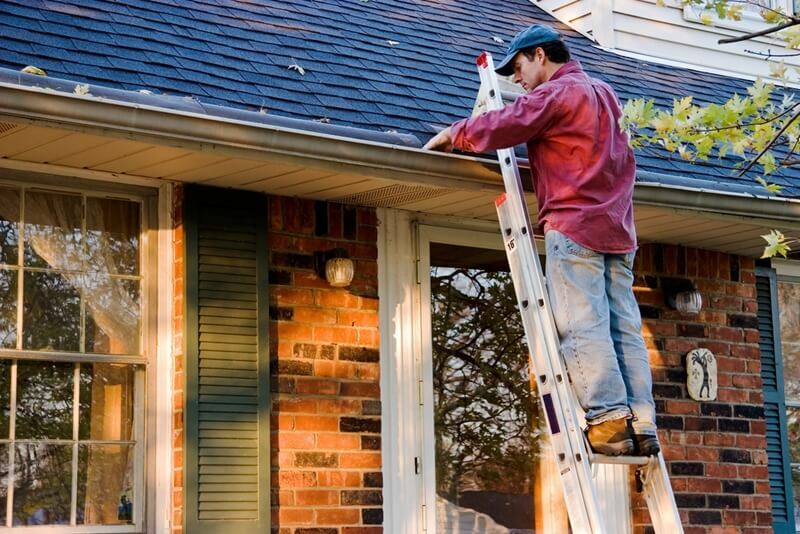 Checking your roof regularly can help you identify minor problems quickly before they get out of hand. The best way to get this job done is to have a checklist ready before you start the inspection. Make a strategy and note down any anything that out of the ordinary, even any minor issue such as peeled paint or patch of moisture. If you observe any issue, get it looked at by professionals. Call Beneficial Roofing to schedule an appointment for a thorough roof inspection. Our experts will help you assess, repair and prevent the damage to your roof and keep you and your family safe.